Sold by Mittal Books (4.7 out of 5 | 7,250 ratings) and Fulfilled by Amazon. Gift-wrap available. 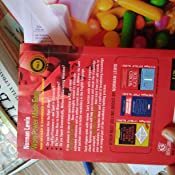 A core book about English language and correct word usage; those who are preparing to sit for CAT, GMAT, GRE, TOEFL and other such examinations would definitely stand to greatly benefit from this book. Anybody who wants to improve one's vocabulary will also find it very useful. 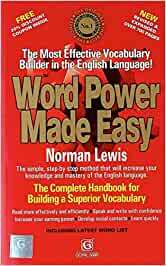 Authored by Norman Lewis, the grammarian from New York who has several other English language books to his credit, 'Word Power Made Easy' has been published by Goyal Publishers and became popular soon after the first edition was released in the year 2009. The book is broadly divided into three sections. By way of simple techniques, the author has presented easy tips for improving one's vocabulary and word skills. After having created awareness about the new words and their meaning, he then goes onto explain how to make their correct usage. A section of the book even explains many etymology concepts that one can easily adopt for getting a better grasp of the language. 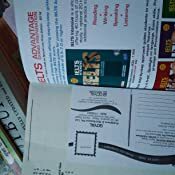 The book has been divided into oriented sessions that need action from the user and there are many exercises that challenge and enhance one's language skills. At the end of every chapter ends there is a review exercise. Putting oneself to test for these review exercises will give the user a progressive check about the grasp of the language one is gaining. At many places, the monotony of the chapters has been splintered with trivia that keeps the reader's interest in the subject alive and even encourages one to keep practicing more. 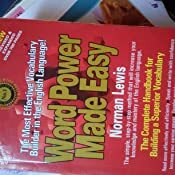 Start reading Word Power Made Easy on your Kindle in under a minute. 5.0 out of 5 starsMaster Piece ! This book is again a master piece from Mr. Norman Lewis. a foundation stone for your vocabulary building. I come from a hindi medium schooling but this book gave me confidence in vocabulary development. Good Book. You won't get list of words in this book to improve your vocabulary overnight. It has various chapters, each teaching you new set of root words and there various combination leading to new words. As author says " Don't just read this book , Instead work with it!!! " After reading the whole book you will surely feel the improvement. 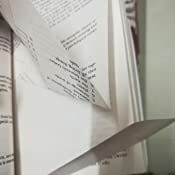 Received this book with some pages folded and 4 pages missing in between. But not to worry as Amazon will issue refund for the same. This is the 4th time I've bought this book to gift to someone who is starter in english vocab building. The book is something more than enough for about 100 ₹. It gives best way to understand the words by linking it to its entomological origin and teaches us how to understand the meaning of a new word. It also helps in eliminating wrong options in mcq based exams. You can learn a lot of new words by simply going through exercise. Religiously following this book daily would surely help you build your vocabulary. Those who cram words from dictionary should at least try this approach of learning to remember words and I'm sure this way would be far better. 5.0 out of 5 starsvery useful and informative. Good for all age group readers specially for learning kids to understand grammar in a better way. I will keep this book forever. It isn't intimidating. In fact I did the initial test to check my own word power and was happy to discover how much I do as much as I want to know! Not intimidating book. Very well done and you can do at your leisure. Very well written. I would recommend this as a gift. 4.0 out of 5 starsNorman Lewis knows how to teach vocabulary in a way that helps new words stick. 1. New words are divided into thematic chapters that make it easy to draw connections between the words. 2. He uses etymology as the scaffold to help build a knowledge of many related words simultaneously. 3. All words are reviewed multiple times in exercises throughout the book that use a variety of ways to measure recall and understanding. Amezing book. Really change concept of old leaning methods. Learn easyly maney word with one root word. Delivered book on good condition. I don't ever leave reviews, but this one is a MUST!! The book is a great addition for any person needing or wanting to expand their vocabulary. It is super insightful and I'm glad I purchased it. The book provides a level of understanding beyond learning words. Just like any problem, when you get to the root of things, you understand it in its totality. I love the book and how it forces me to be a more critical thinker. I am so thankful for this book just what I need I have been lazy and need to back into my study time thanks a million I wear glasses the words or so small but I will work with will be order more books. I will keep this book forever. It isn't intimidating. In fact I did the initial test to check my own word power and was happy to discover how much I do as much as I want to know! Not intimidating book. Very well done and you can do at your leisure. Very well written. I would recommend this as a gift. You also get 20% discount coupon for next order.